Cook, eat, clean, repeat. Cook, eat, clean, repeat. Cook, eat, clean, repeat. Cook, eat, clean, repeat. Sleep….. And start again. The relentless nature of feeding young children makes it all the more frustrating when they start to enjoy chucking food. Why would they do that? How are we all supposed to react? It is possible to stop it? Is that old lady over there giving us evils? I blame Gravity. Gravity and Piaget. Piaget was a bloke who wrote some psychological theories about learning and understanding. He watched children make connections between the things they observed in the world around them and surmised that they were testing and learning abstract concepts through play. For example, ‘Enclosure’ – putting things inside other things which means they seem to disappear and they can be transported from place to place. Or ‘Rotational’ – that things go round and round like taps, wheels and balls. Of course, ‘Trajectory’ is another schema – that things go up and down and travel with gravity. And a key part of this that relates to mealtime frustration is that things go down when dropped. Sometimes they bounce, sometimes they splat, sometimes they create a reaction from adults, sometimes they don’t. This is the key schema that causes toddlers to go through a phase of throwing food, cups and cutlery endlessly onto the floor. And for many first-time parents, this phase is a long and perplexing one! And think about it. It must be so confusing to a toddler when the grown-up reactions differ according to the object being thrown. If they throw a tennis ball, they get warm congratulations, smiles and encouragement to do it again but if they throw an apple, they get cross reactions, grumpy frowns and often the fun is taken away. – Sit and eat with them. There’s no greater way to demonstrate how to behave around food than sitting and eating food with them! 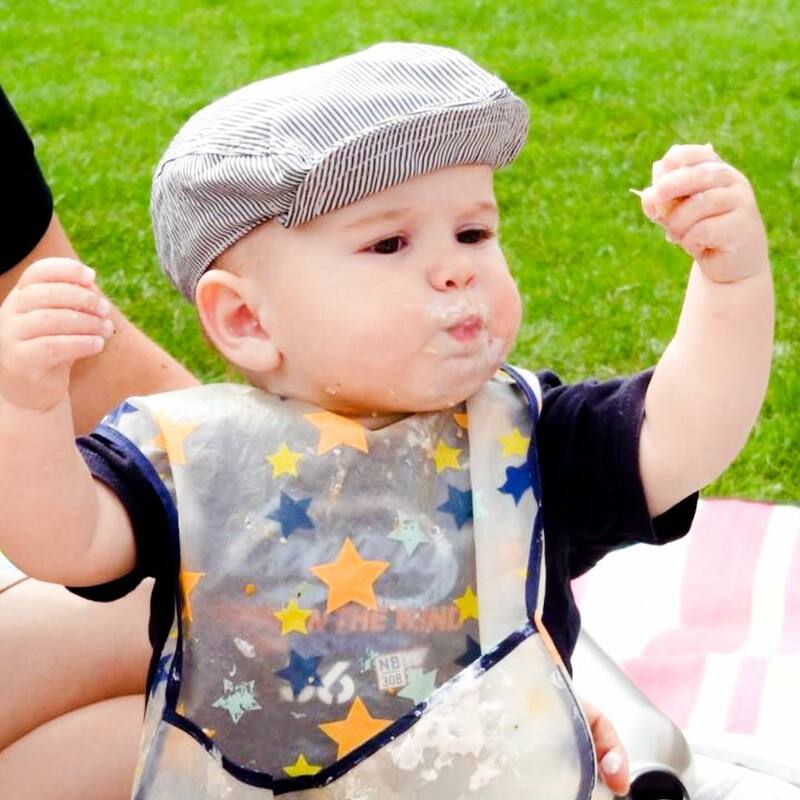 – Stay chilled when they do start throwing food, it’s age and stage appropriate and is as natural as learning to walk or talk. – Gently say ‘no thank you’ in reaction to food throwing – you’re demonstrating that when it’s edible, it shouldn’t be thrown. – Leave thrown food on the floor until the end – repeatedly picking up may inadvertently start a game of ‘fetch’. – Offer a side plate to put unwanted food on instead – this can be a great distraction too if you have a toddler with a particularly strong arm! – Offer limited quantities of food on the tray or plate at one time. The more you offer in one go, the quicker the food will be flung and the more fun it will be! – Try to read their cues for feelings of fullness or tiredness e.g. full arm sweep for fullness and eye rubbing and fidgeting for tiredness. Sign Up for Feed the Brood News Here! So I can send relevant info, where do you live? © 2019 Feed The Brood All Rights Reserved.